Shares in Capilano Honey (ASX: CZZ) slumped from the previous day’s close of $21.35 to $20.31 on Friday in response to the company’s announcement that it had recorded a net profit of $9.5 million for the 12 months to June 30, 2016. While this represented year-on-year growth of 20.9% and was in line with management’s guidance and the expectations of analysts at Morgans CIMB, it would appear that shareholders were looking for an outperformance from a stock that took on market darling status after listing on the ASX in August 2013. On the first day of trading, the company’s shares closed at $2.44 but by September 2015 they had increased nearly ten-fold to hit an all-time high of $23.72. Prices are subject to fluctuation and investors should take a cautious approach to any investment decision in this stock and not base that decision solely on price movements. Belinda Moore from Morgans CIMB was satisfied with the result as she held firm with fiscal 2017 forecasts while slightly upgrading estimates for 2018. Moore also increased her price target from $23.10 to $23.50, while maintaining an add recommendation, although these targets are no guarantee of coming to fruition. The price target implies a PE multiple of 15.5 relative to Moore’s forecasts for fiscal 2018. From an operational perspective the analysts sees the fortunes of Capilano’s new high margin ‘health honey’ and the Comvita joint-venture as key determinants of the company’s success in fiscal 2018. Moore also is of the belief that the company should benefit from better seasonal conditions in fiscal 2018, but in the agricultural industry one can’t make such assumptions with any surety. 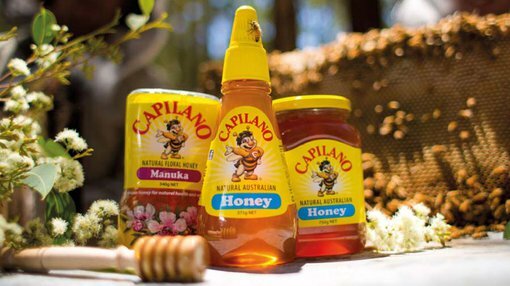 Capilano has a strong balance sheet, which was recently strengthened by the sale of the manuka beekeeping assets to the joint-venture for $9.2 million. This leaves the company well-positioned to execute on its strategy of transforming from a purchaser of honey and bee products from other enterprises to a vertically integrated group benefiting from strong supply chain management and the scope to penetrate emerging markets in medical and natural health. Moore’s revised share price target implies a premium of 15.7% to Friday’s closing price, but there is no firm evidence to suggest that the company’s in line for a rerating. In fact, if Friday’s share price slide is indicative of broader market sentiment there could be more downside to come.